Need to contact a club officer or wish additional club information? 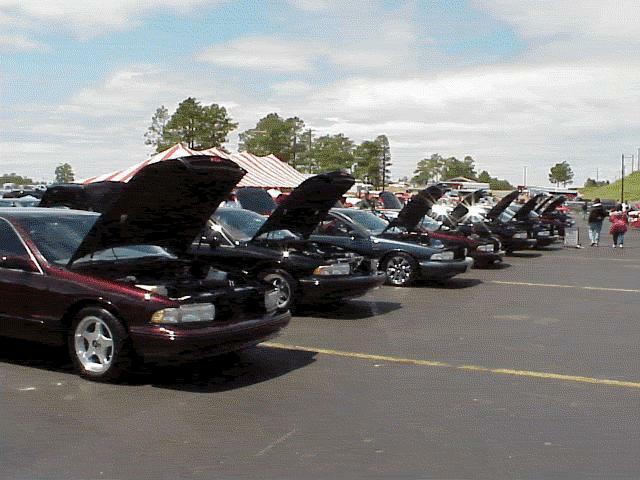 We regularly participate in local gatherings in Raleigh, NC at the local cruise-ins at CharGrill and Grill-57. These events are held on the first and third Saturday's of the month during the summer and sport many custom cars and car lovers. Here we are getting lined up on Saturday morning and the weather is Sunny and cool, just great for hanging out on the nice warm blacktop of the track. 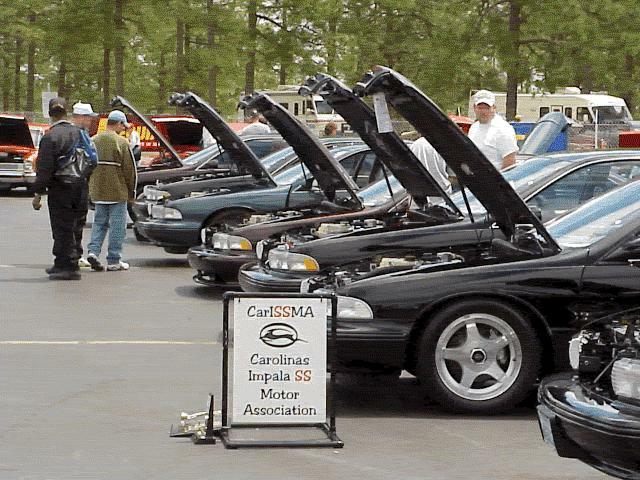 Below, CariSSMA member Will Diggs is chatting with folks interested about our Impala's and why we like them so much! 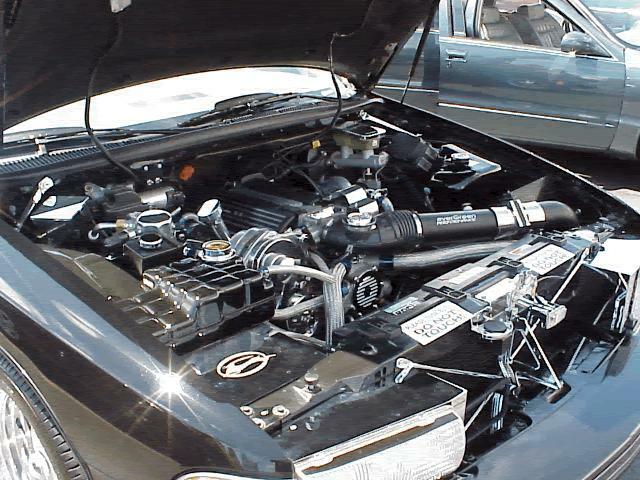 Below is a shot of my engine bay after several hours of cleaning. I think its the cleanest I've ever had it until the next following day. I rained most of the day and was cold to top it all off. 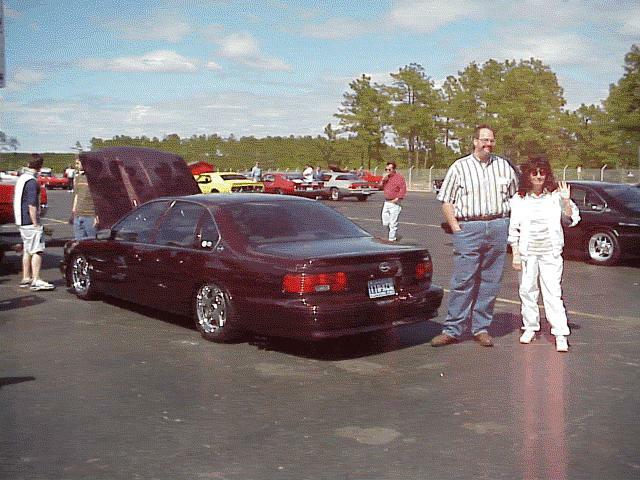 Here is a shot of Mike Kender and his pit crew, Rosemary. Mikes ride is pretty nice!!! ALAS, its Sunday and its raining with short breaks between clouds. Here we get out and try to get the waterspots off before the judges come around but its useless... Jim Paulsgrove (left) and Will Diggs (right) are trying their best but the day is basically a washout and the show wraps it up early that afternoon. So much for Rockingham that weekend, now on to Petersburg, VA.! 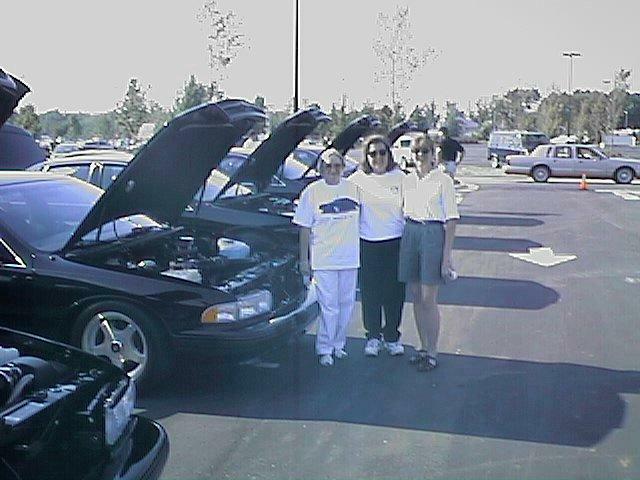 Here are a few pic's from the last regional SuperChevy Show (Oct.99) held in Petersburg, Virginia. members from the Washington Area Impala Lovers group (WAIL) were there as well as folks from up and down the east coast as far north as New York. 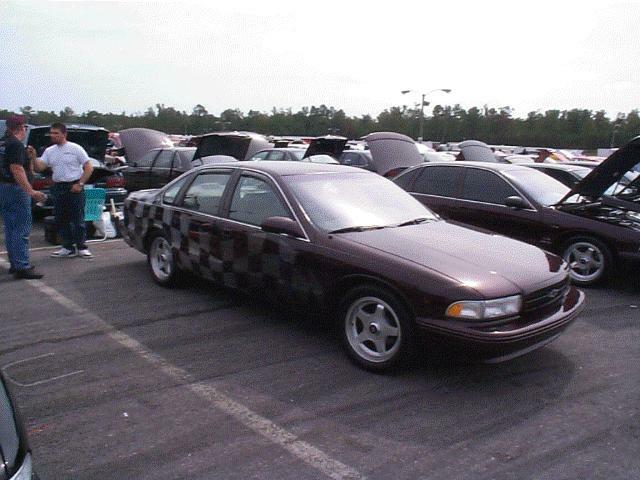 Lots of folks were eyeing the Impala's as there were some very nice and very clean ones there! 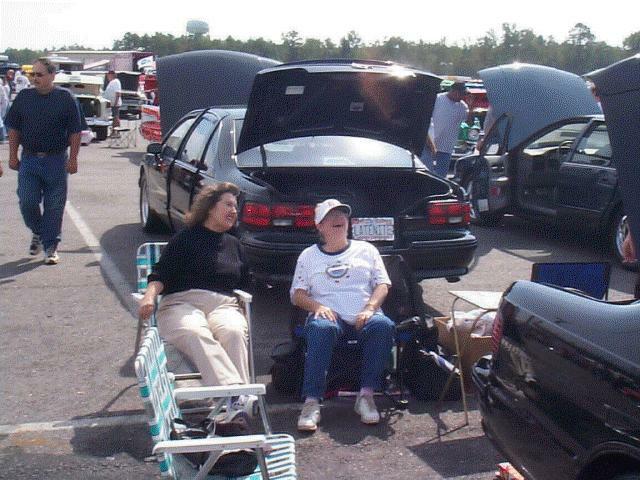 Here my wife Ramona and Al Riggan's wife Betty were laughing at a comment that Al made while cleaning up his Impala. 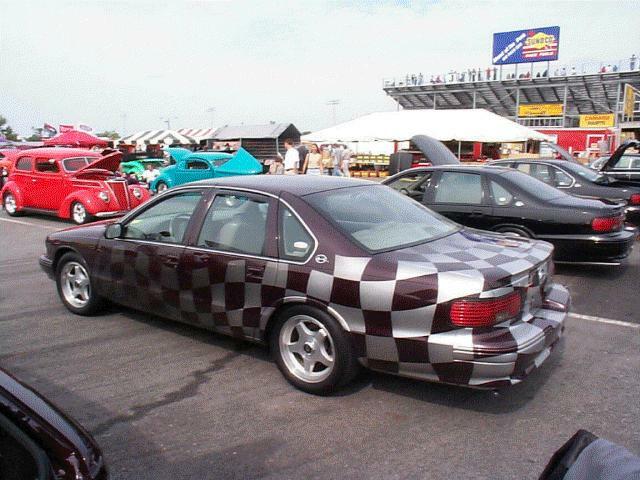 Here above is "Moose's" new paint job which took a lot of us by surprize. Most unique indeed! Here this gent on the right was asking a lot of questions about our Impala's and I think he was getting some ideas as to what he wanted to do to his at home, and he was taking a lot of pictures of us all! 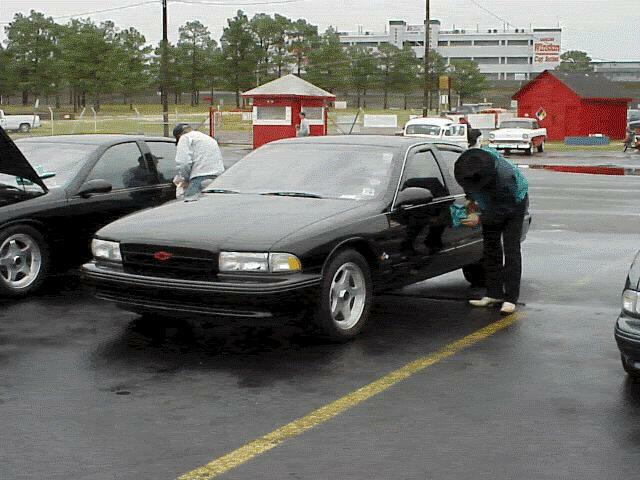 Later that afternoon we finally had to lines of Impala's lined up and hints and tips on mod's were going hot and heavy. 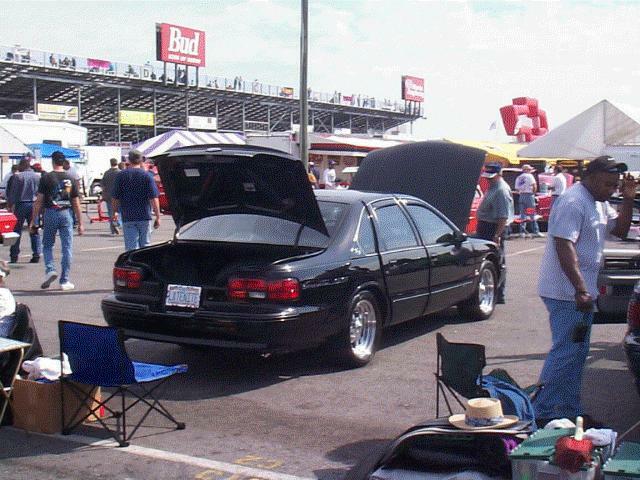 The next day was an instant replay of our raining, cold Sunday at Rockingham. Maybe we will be better off next year! Some PAST EVENTS of note! 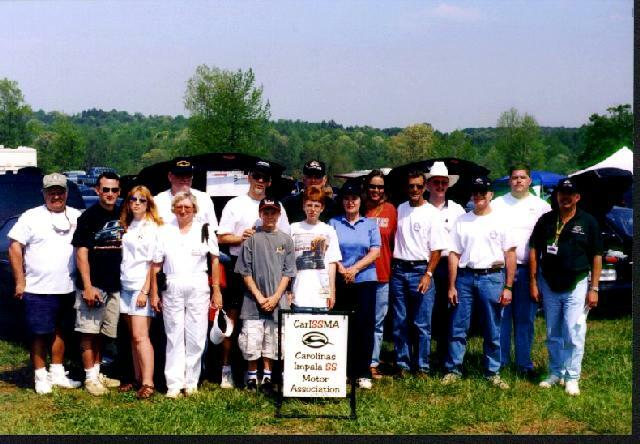 Recently many of us participated in the SEIL gathering event (Southeastern Impala Lovers) held at Road Atlanta race track in April of '98. Approximately 200 impala's and 200 Camaro's all gathered and had a great weekend. 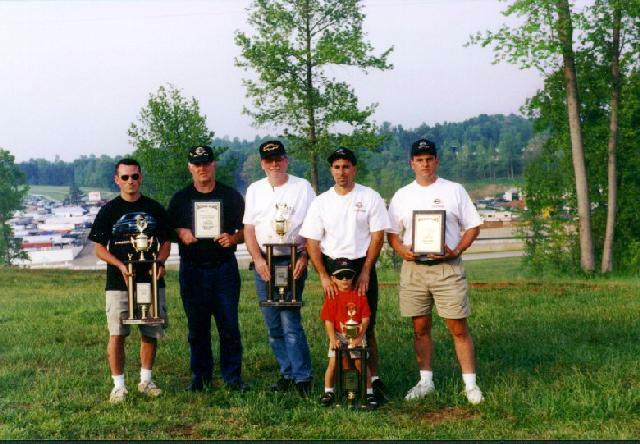 Below are a few pictures of winners in the Modified, Street and Stock classes for 94-96 model year Impalas at the event from CarISSma! Here is a CarISSma group shot of all who attended the SEIL Impalapalooza At The Gathering! hot outside. Hamburgers, hotdogs and come good cold drinks are coming up as well as some good conversation. 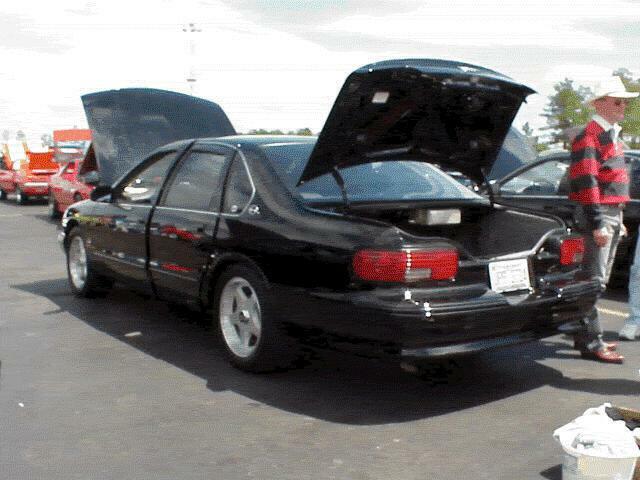 Here is a rear shot of his BLASST Impala with resonator delete and straight exhaust pipes! 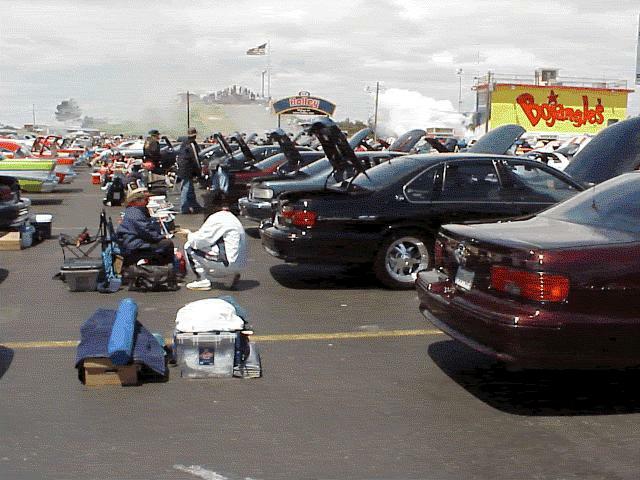 Shot of Al Riggan, Will Digs and Bob Nicks Impala's parked down front in the shade! Here we are staring to park and line up at the Grill-57 in Garner, NC. 3rd. Sat of the month! Impala Wives at Grill-57, Ramona Davis, Betty Riggan and Mary Paulsgrove! Ya'll come visit us soon!